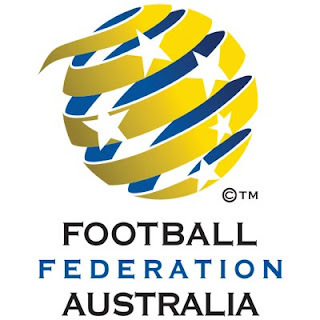 The Australia national football team represents Australia in international association football competitions. Its official nickname is the "Socceroos". The team is controlled by Football Federation Australia (FFA), which is currently a member of the Asian Football Confederation and also an invitee member of the ASEAN Football Federation since 2006. Australia is a four-time Oceania Football Confederation champion and has been represented at two FIFA World Cup tournaments, in 1974 and 2006. 14th is Australia's highest ever FIFA World Ranking since the rankings were introduced in 1992. Australia topped their group in the 2010 World Cup qualification and became one of the first nations to qualify for the finals tournament without losing a match and only conceding one goal. The late 2000s has seen Australian association football increase considerably in domestic popularity and in international competitiveness. The Socceroos were seeded to enter the AFC qualification campaign in the third round alongside Iran, Saudi Arabia, South Korea and Japan. They were drawn into a group comprising of Qatar, Iraq and China with the media dubbing it the "group of death". Fixtures started in February 2008, with a home match against Qatar at the Telstra Dome in Melbourne giving Australia a 3-0 victory. This was Pim Verbeek's first competitive match in charge of the Socceroos. The majority of the Australian squad consisted of overseas, mainly European based, players after Pim Verbeek announced the local A-league was not yet up to World Cup standards. A week after the match, Australia moved up to 38th on the FIFA World Rankings. In the second group game, Australia drew 0-0 with China with Mark Schwarzer saving a penalty in the last few minutes. In their 3rd out of 6 qualifiers on Sunday, 1 June, Australia beat Iraq at Suncorp Stadium, Brisbane, 1-0, with a headed goal from Harry Kewell proving the difference between the two teams early in the 2nd half of play. In the return match in Dubai, Iraq defeated Australia 1-0 through a wonder strike from Emad Mohammed. Australia then defeated Qatar 3-1 on 14 June in Doha to progress to the fourth round of the AFC qualifiers. Their final game in 3rd round qualifying ended in a 1-0 home defeat to China. Australia have been drawn alongside Japan, Bahrain, Qatar and Uzbekistan in the fourth round of Asian World Cup qualification, which commenced with a 1-0 victory over the Uzbeks in Tashkent on September 10, 2008. Scott Chipperfield's run was unmarked and he comfortably headed in a Luke Wilkshire cross. They then proceeded to beat Qatar 4-0 at Suncorp Stadium, Brisbane, to go top of the group, with goals scored by Tim Cahill and Josh Kennedy with Brett Emerton scoring a brace for the home side. The game was delayed 30min (and close to abandoned) after a torrential rainstorm hit Brisbane Stadium prior to the match. Their next match was against Bahrain on the 19th of November. Australia managed a 1-0 victory despite a brilliant performance by the Bahrainis and a disappointing performance by Australia. Both the Australian coach and players admitted they were lucky to take the points which came courtesy of a Marco Bresciano goal in the 93rd minute. They dedicated the win to Craig Moore who missed the match following surgery for testicular cancer. Australia remained top of the group with 10 points after 4 games following a 0-0 draw away against Japan. The Socceroos were on the brink of qualifying after a convincing 2-0 win over Uzbekistan on April 1 in Sydney. After a lacklustre first half, the Socceroos scored two goals with a Josh Kennedy header in the 66th minute and a Harry Kewell penalty in the 73rd minute after Richard Garcia was taken down in the penalty box. Australia then secured their place in South Africa after holding Qatar 0-0 at Doha on 5 June. Australia's qualification was already assured before the final two games, both home fixtures. In Sydney on Wednesday 10 June, goals to Mile Sterjovski and David Carney gave Australia a 2-0 victory over Bahrain. Australia's final qualification game ended with a 2-1 victory over Japan, Australia coming back from a goal in the 40th minute by Japan's Marcus Tulio Tanaka with Tim Cahill's equalising header in the 59th minute, and his winning goal 17 minutes later off a Nicky Carle corner. This victory left Australia top of Group A ahead of Japan by 5 clear points.